We finally have some nice pages to tell the world what we do, cloud AP management and remote monitoring, per each single device. After an internal discussion about the best way to classify APs that are the candidates for next implementations and compatibility extension, we decided to add Facebook and Twitter to the page of each device: LIKESs and TWEETs will determine the priority of each device and we’ll try to implement the ones that are more requested before the others. Here is a screenshot of the page of Ubiquiti UniFi. 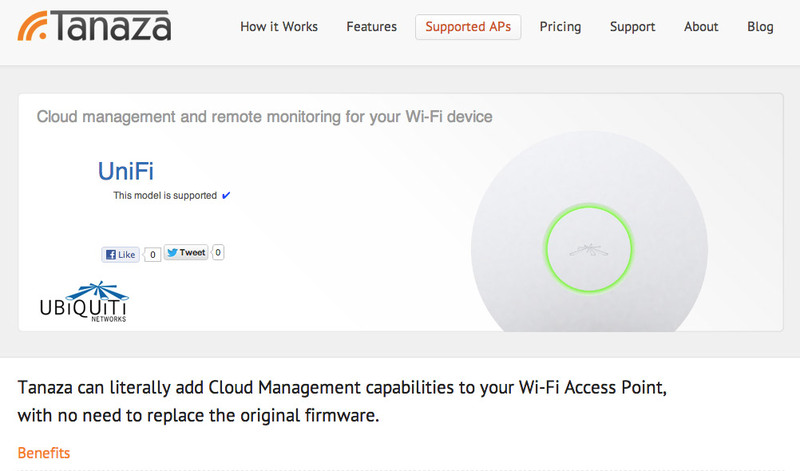 It’s already supported and you can already cloud manage it with no need to instal the UniFi controller on a host… so… no need to LIKE or TWEET to have it implemented! But you can still follow the link and share it. Especially if you tried it and liked it.